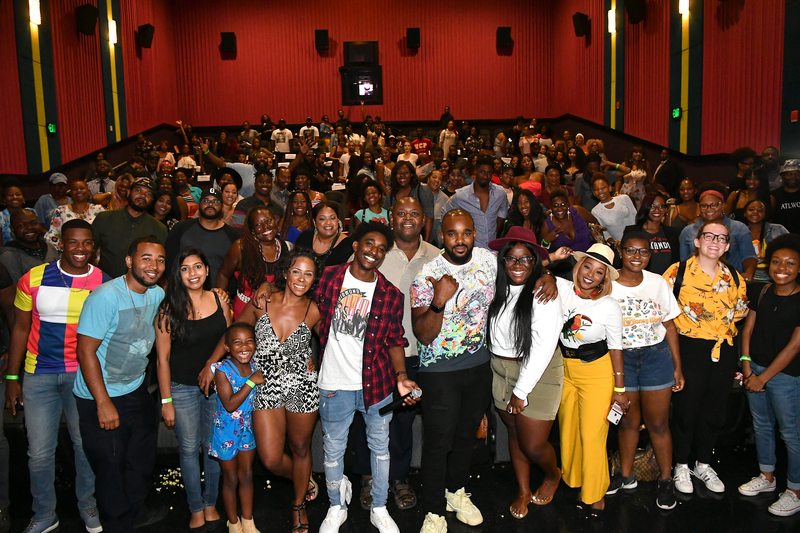 In Chicago, iHeart Media personality Tone Kapone moderated the post-screening Q&A with Rel, where he shared his love for the city, his determination to succeed in the comedy world and how he will continue to offer Chicago natives opportunities in entertainment. In Atlanta, Dish Nation/Rickey Smiley Morning Show co-host Headkrack hosted the screening and facilitated the Q&A with Jordan, who talked about his journey from production assistant last year to now co-starring on a major sitcom. He credited his actress mom and a strong faith in God for his success. Audiences in both cities laughed nonstop throughout the episode and shared their excitement on social media. Based on the life of Lil Rel Howery (“Get Out,” “Insecure,” “The Carmichael Show”), REL is a multi-camera comedy starring Howery as a loving husband and father living on the West Side of Chicago, who finds out his wife is having an affair. And not just any affair. An affair with Rel’s own barber. Quite easily the worst person for your wife to sleep with, because as hard it is to find a good spouse, it’s even harder to find a reliable barber. Plus, with the barbershop being one of the epicenters of neighborhood gossip, Rel finds his embarrassing business is known by everyone, including the Pastor (also played by Howery) before Rel can even process the emotions himself. Offering Rel support – that is, when they themselves aren’t butting heads – are Rel’s tough-talking, no-B.S. best friend, Brittany (Jess “Hilarious” Moore, “Wild ’N Out”), and his recently out-of-jail younger brother, NAT (Jordan L. Jones, “NCIS: Los Angeles,” “Wisdom of the Crowd”), as well as Rel’s prideful Dad (Sinbad, “A Different World,” “The Sinbad Show,” “Jingle All The Way”), who perhaps has taken the barber news even harder than Rel. After his beloved kids move to Cleveland with their mom, Rel must begin the difficult task of rebuilding his life as a long-distance dad. He also jumps back into the dating pool – and often finds himself the victim of his own well-intentioned hubris. But, ever the optimist, he continues his search for love, respect…and a new barber. Sounds like an interesting comedy show, Will watch when season starts.